Article first published as TV Review: THE CROWN Season 2 on Seat42F. 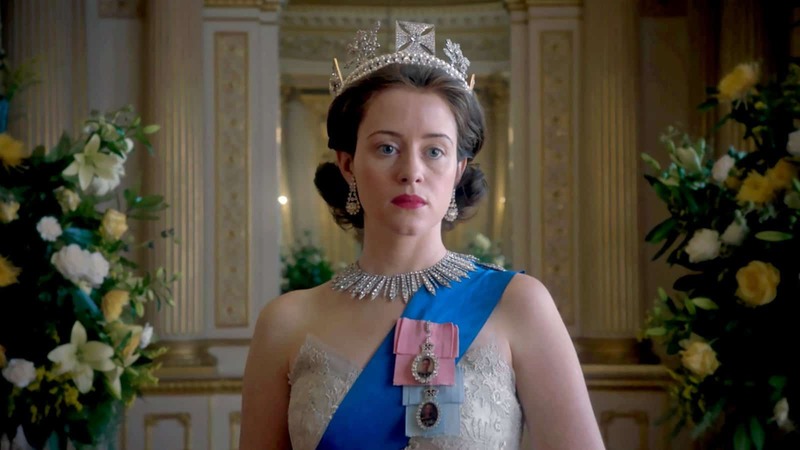 Netflix’s THE CROWN has returned for a second season. The series follows the reign of Queen Elizabeth II, and the latest batch of episodes focuses on the mid-1950s into the 1960s. This will be the last season with the original cast, as the producers have said they will be switching performers every two seasons (which cover roughly twenty years of time). In general, season two seems to have mostly maintained the good quality of season one. Picking up near where last year left off, things have gotten more complicated for Elizabeth (Claire Foy) in both the personal and professional realms. Concerning the latter, she no longer has Winston Churchil (John Lithgow) to rely on. Difficult as he could be, the new prime minister, Anthony Eden (Jeremy Northam), doesn’t have the same wisdom or competence. This almost immediately puts Elizabeth in a complicated place as tensions erupt in Egypt. At the same time, Elizabeth fears her husband, Philip (Matt Smith), may be cheating on her. This is not helped at all by his louse of an assistant, Mike (Daniel Ings). Their relationship has been rocky ever since she was made queen, but this concern is new. In the first hour of season two alone, we see Elizabeth and Philip at their highest and their lowest points, as they continue to try to figure out how her official role fits into their marriage. While I like seeing the contrast, I am going to take a moment to complain about the opening scene of season two, which takes place five months after the rest of the hour. It has become a far-too-common crutch for television shows to do a flash forward to try to hook the viewers before jumping back to the more ‘mundane’ parts of the story. It’s especially bad here because I feel the narrative would be far more powerful if we saw Elizabeth start on a high note and watched things fall apart, rather than knowing with certainty (for those not super familiar with her history) where it’s going before it takes a turn. But that is my only real gripe about what I’ve seen so far of season two. Yes, there’s a bit of a hole without Lithgow’s constant presence. However, at this point viewers should be suitably invested in Elizabeth, Philip, and Princess Margaret (Vanessa Kirby) enough that the story remains compelling. With terrific performances and wonderful sets, props, and costumes, it’s still a very impressive production. I am most intrigued by what role Dickie, also known as Lord Mountbatten (Greg Wise), may play in this season. The first year found him often an antagonist, though not a particularly diabolical one, while the premiere of season two already casts him in a more positive light. Complex characters like Dickie, and ones who aren’t as famous as Elizabeth and Churchill, provide a good hook to the drama. There is a fair amount of speculation as to how accurate THE CROWN is. While the major sweeps of plot can be fact-checked, this royal family is notoriously private, and it’s hard to know for sure if, for example, Philip really did cheat on Elizabeth. I feel THE CROWN handles this delicately, though, hinting when it isn’t sure, and leaving enough open to interpretation to avoid going too far off the rails, while still preserving the drama. I very much enjoyed THE CROWN’s first season. While I’m not far into year two yet, I can tell I am going to enjoy this run, too. It’s a feat to bring history to life so vividly and interestingly, especially when the story revolves around characters who might not scream drama themselves. The raw, layered portrait painted manages to make for a fascinating series. THE CROWN season two is available now on Netflix.